Is d-frag! finally entering Yabuki style fanservice chapter!? Coud this be? The onsen chapter?! Thank you for the onsen chapter! Thank you for this chapter. It’s really fast. the casts is the same from drama cd and Brains Base will take it. 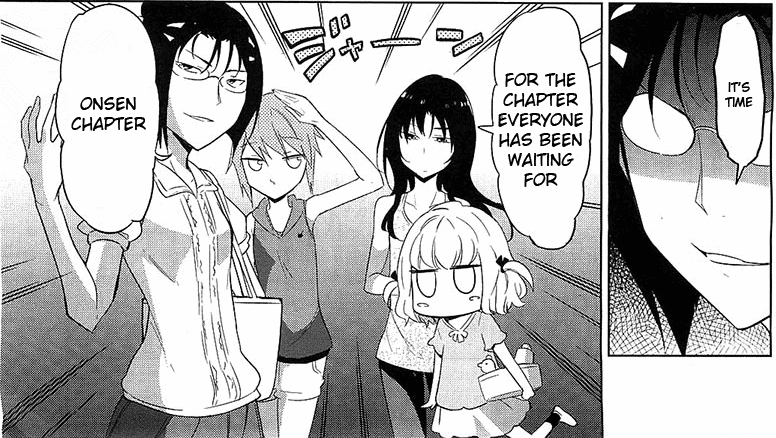 And… may I ask when will ch.52 out? 2 months since this one already.